Joey King Says DDR Choreography in ‘Kissing Booth’ Sequel is Even More Intense! | Joey King | Just Jared Jr.
Joey King Says DDR Choreography in 'Kissing Booth' Sequel is Even More Intense! Joey King dazzles at the LA Times Envelope Emmy Contender Series portrait studio! 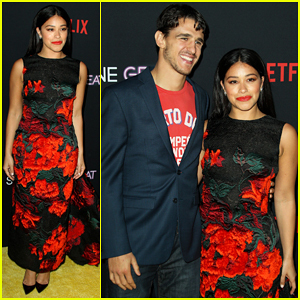 The The Act star stepped out in style for the event held on Monday (April 15) in El Segundo, Calif.
Joey has already generated Emmy buzz for her work on the Hulu series. Five episodes are currently streaming, and the remaining three episodes will debut weekly on the streaming service. During the event, Joey sat down to answer various fan questions. Check out her answers below! Also pictured inside: Joey in another stylish outfit at Variety‘s Emmy Portrait Studios last month in Los Angeles. FYI: Joey is wearing a Hillier Bartley outfit with Giuseppe Zanotti shoes, an EF Collection earring, and a L’Afshar bag at LA Times‘ Emmy event. She is wearing a Chloe outfit, Jimmy Choo shoes, Saskia Diez, Hirotaka Jewelry, Le Vian Jewelry, and Marli jewelry, and a L’Afshar bag at Variety‘s Emmy event. Among the fan questions that came through ahead of our live chat with @JoeyKing, @PattyArquette offered a question of her own! 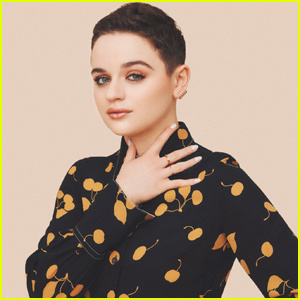 Fan @KillingEves asked @JoeyKing what was her most difficult scene to film for @TheActOnHulu? Don’t get @JoeyKing started on that intense Dance Dance Revolution training for #TheKissingBooth. 😅The choreography is even more elaborate for the upcoming sequel & she says she’s developed Tendinitis in her elbow from it. 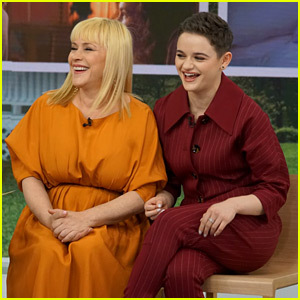 Joey King & Sister Hunter Are Picture Perfect at Hotel Vivier Event! Joey King Had The Best April Fools' Day Prank! 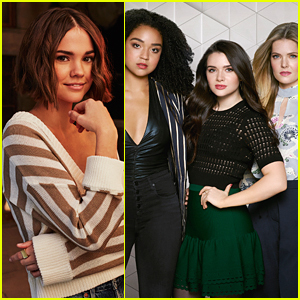 Joey King Wears Her Love for Sabrina Carpenter! Joey King & AnnaSophia Robb Rock Headbands at 'The Act' Premiere! 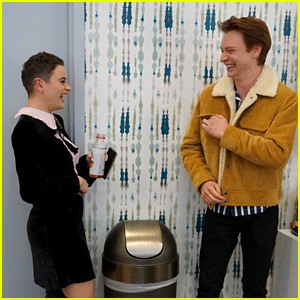 Watch Joey King Scare Calum Worthy During 'The Act' Press Day! 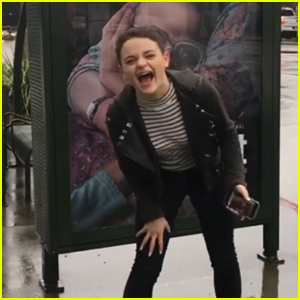 Joey King is So Pumped for New Show 'The Act' to Air - Watch!